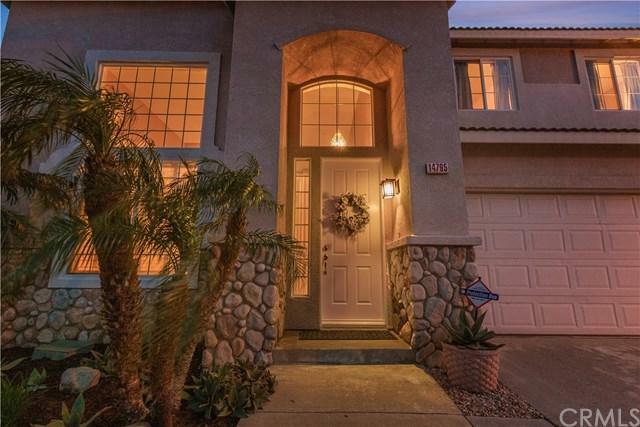 14795 Bugle Court, Fontana, CA 92336 (#300968274) :: Ascent Real Estate, Inc.
Come take a look at this lovely 6 bedroom home with beautiful views! The sunrise and sunsets are amazing, especially from the balcony - where you also have a view of the city lights! Great pride of ownership shows throughout. It is light and airy with plenty of windows bringing in natural light, with new carpeting and fresh interior paint. 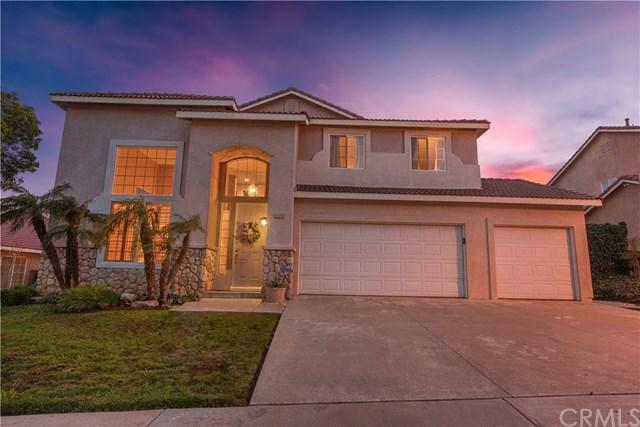 This open floor-plan includes a formal living/dining room combination with two-story ceilings, a kitchen and breakfast nook adjacent to the family room with cozy firepl Come take a look at this lovely 6 bedroom home with beautiful views! The sunrise and sunsets are amazing, especially from the balcony - where you also have a view of the city lights! Great pride of ownership shows throughout. It is light and airy with plenty of windows bringing in natural light, with new carpeting and fresh interior paint. 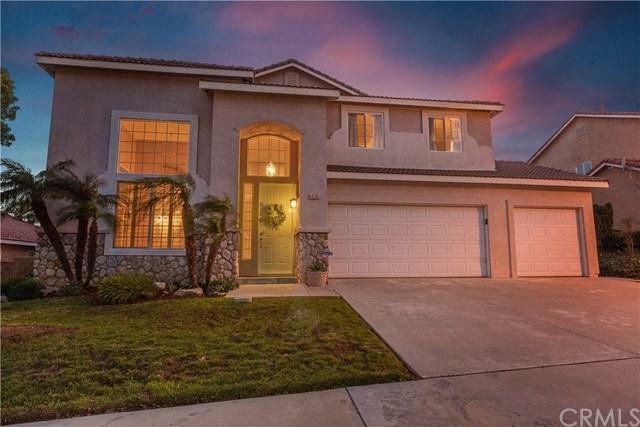 This open floor-plan includes a formal living/dining room combination with two-story ceilings, a kitchen and breakfast nook adjacent to the family room with cozy fireplace. The kitchen has new stainless steel appliances which include a double oven, 5-burner stove, dishwasher and trash compactor. There are plenty of cupboards, a walk-in pantry and a desk. The downstairs bedroom (currently an office) and 3/4 bath are perfect for in-laws or guests. The spacious master bedroom has a balcony, high vaulted ceiling, a ceiling fan, walk-in closet, bathroom with dual sink vanity, separate Roman tub and walk-in shower. There are two bedrooms on the north side, with mountain views and two bedrooms on the south side, with city lights view. It also includes an indoor laundry and spacious three-car garage. The sliding glass door off the breakfast nook opens to the large, freshly seeded back yard with new irrigation system. It is perfect for BBQ's, entertaining family & friends or simply taking in a beautiful sunset. 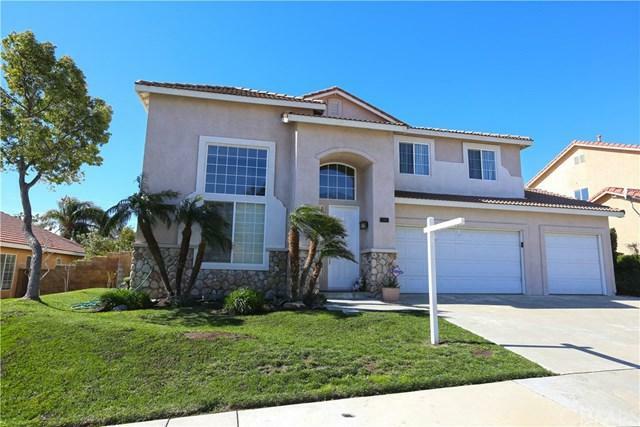 This home is located on a quiet cul-de-sac in a wonderful neighborhood near Victoria Gardens and has easy freeway access. Don't miss it!